Get Started Knitting with How to Knit DVD Kit! We've added a new How to Knit DVD Kit to the store. It's a complete kit with everything a beginner needs to get started knitting. You'll find it in the Knitting Kits section of the store! 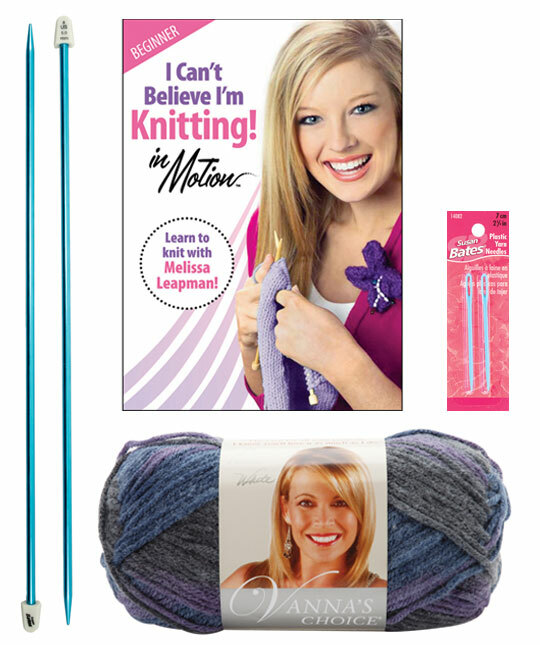 The How to Knit DVD & Kit combines the popular I Can't Believe I'm Knitting! DVD from Leisure Arts with quality knitting supplies from Lion Brand and Susan Bates. 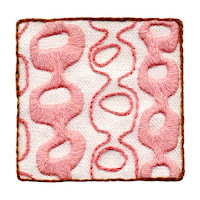 The DVD provides comprehensive knitting instruction with step-by-step lessons for beginners. It's easy to set your own pace with the DVD's convenient auto-pause feature. There's also a topic index, knitting reference library, and troubleshooting guide to help with common knitting challenges. In addition to the DVD, this kit includes 1 skein of Vanna's Choice medium, worsted weight yarn in purple print. This is 145 yards of easy care 100% premium acrylic yarn from Lion Brand. This is a great choice of yarn for beginner knitters! Each kit also includes 1 pair of Silvalume 10-inch single point knitting needles in Size 8 from Susan Bates. Size 8 needles are ideal for beginners and work well with medium weight yarn. You'll also receive a bonus pack of Susan Bates plastic yarn needles. If you've always wanted to learn to knit, this beginner knitting kit will get you started with expert DVD instruction & quality supplies. 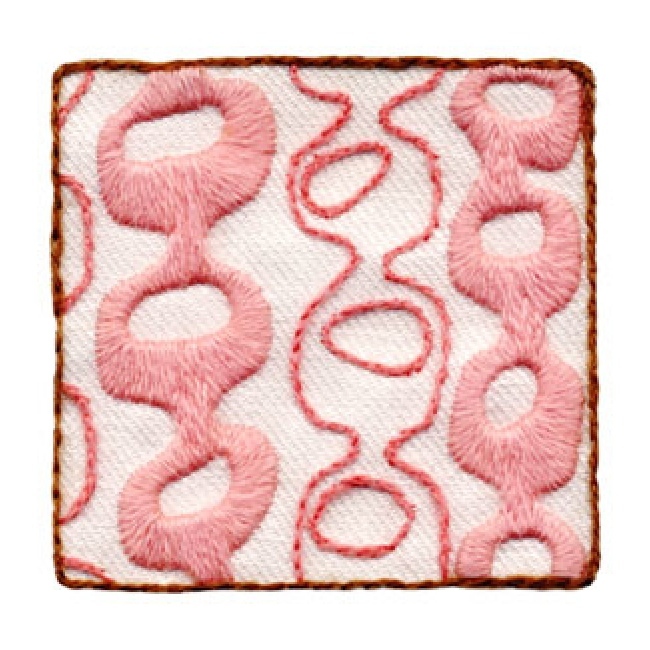 Visit the Knitting Kits section for all the details on this kit and to see our complete selection of knitting kits for adults, teens and kids. Weekend Kits offers a unique selection of creative Art & Craft project kits for beginners and all skill levels. Stop by today and be ready to learn how to knit on your next Weekend at Home! Crewel Embroidery Card Kits - Easy for Beginners! 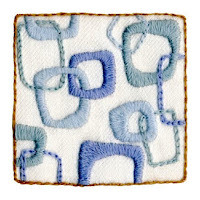 Wool & Hoop Crewel Embroidery Kits feature contemporary crewel designs by artist Katherine Shaughnessy. 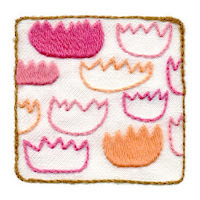 These charming little kits are easy for beginners and fun for experienced stitchers too. You'll find them in the Crewel Embroidery Kits section of the store! Wool & Hoop kits are filled with excellent quality crewel embroidery materials, including 100% linen twill and 100% wool threads. Crewel embroidery kit includes linen fabric printed with 3x3 inch design, wool thread, needles, one blank greeting card with matching envelope, and instructions. 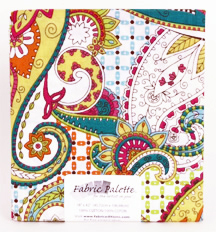 The fabric is preprinted with the crewel design, so you'll be ready to start stitching right away! The threads are separated and neatly organized by color code on a thread card. A color & stitch diagram is also provided. Beginners will appreciate the detailed crewel embroidery instructions, starting with the basics of hooping and threading. 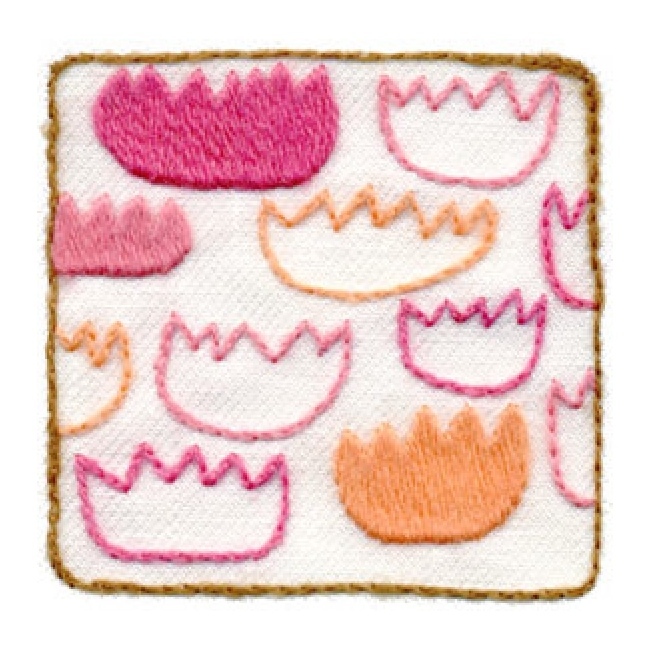 There are also step-by-step instructions & diagrams for the crewel embroidery stitches. An ideal starter kit for learning crewel embroidery skills! They're an easy & fun embroidery kit for adults, teens, and kids ages 8 & up. Other embroidery supplies you'll want to have on hand include a 5 or 6 inch embroidery hoop and small pair of sharp scissors. 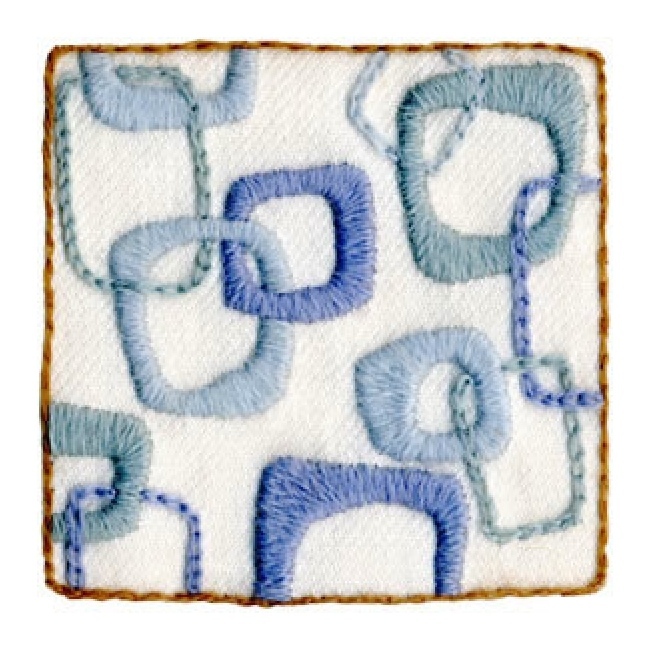 Use the card making materials included in the kit to make a creative handmade greeting card using your finished crewelwork. Modern crewel embroidery designs, quality materials, and detailed instructions. Wool & Hoop kits have everything you need! Visit the Crewel Embroidery Kits sections for details on these kits and to see our complete selection of crewel embroidery kits for beginners & all skill levels. Weekend Kits offers a completely unique selection of modern DIY Art & Craft Kits for adults, teens, and kids. Stop by today and be ready to start stitching on your next Weekend at Home! Here's an Easy & Fun Apron Kit with sewing pattern & fabric for you to make your own designer hostess apron. This apron sewing kit combines the Peaceful Paisley Apron pattern with coordinating fabrics from Fabric Palette's Chill collection. You'll find it in the Sewing Project Kits section of the store! 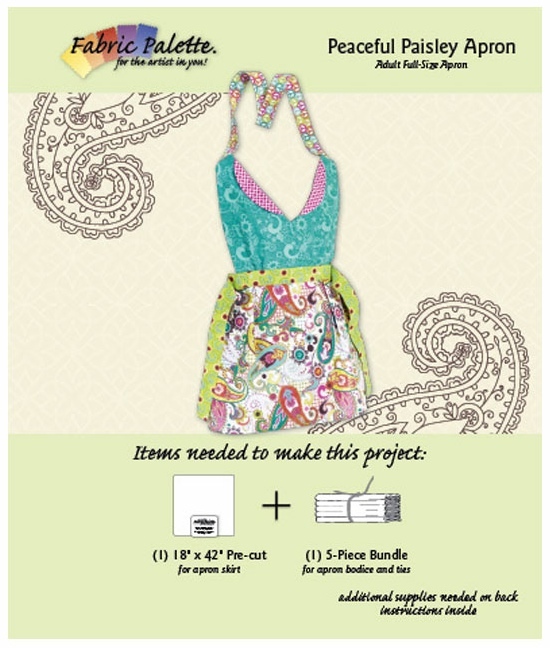 The Peaceful Paisley Apron Kit includes pattern & fabric to make one women's full-size apron. This is an easy apron sewing project for adults and older teens to make their own cute apron. Aprons are fun to make & wear. They're also a nice handmade gift giving idea! Apron kit includes one 18" x 42" fabric precut, one 5-piece fabric bundle, full size templates, and project booklet with instructions. The fabrics in the kit are all 100% quality cotton fabrics from Fabric Palette's Chill fabric collection. The project booklet includes cutting & sewing instructions plus templates for the bodice and collar pieces. This apron kit also includes the enlarged full-size templates. Sewing machine, iron & ironing board, sewing pins, hand sewing needle, marking pencil, thread, scissors, seam ripper, tape, and water soluble fabric marker. Apron patterns typically have minimal pattern pieces, simple construction, and a forgiving fit, making them an ideal sewing project for beginners just getting started. Apron kits with sewing pattern & fabrics make it easy to sew an apron in no time at all. 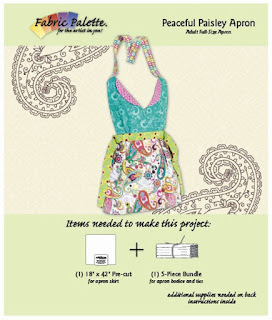 Your finished apron will be perfect for baking, crafting, or just for fun! Visit the Sewing Project Kits section to see our complete selection of sewing projects, including apron kits, baby blanket kits, plush animal sewing kits and more. Weekend Kits specializes in modern DIY Craft Kits for adults, teens, and kids. Our goal is to help make crafting convenient, easy, and FUN for beginners & all skill levels. Stop by today and be ready to sew a cute hostess apron on your next Weekend at Home!